I first went to the range with my dad when I was 8. The first firearm I ever shot was a Marlin 70P in 22LR, and I was hooked. I shot casually throughout my teens, and then became more serious about firearms when I chose Law Enforcement for my career. Today, I am a firearms instructor and tactical team member for my agency, and enjoy instructing both veterans and recruits. I shot in my first USPSA match in 2013, and then started casually shooting 3-gun in 2014. I began to compete seriously in 2015. 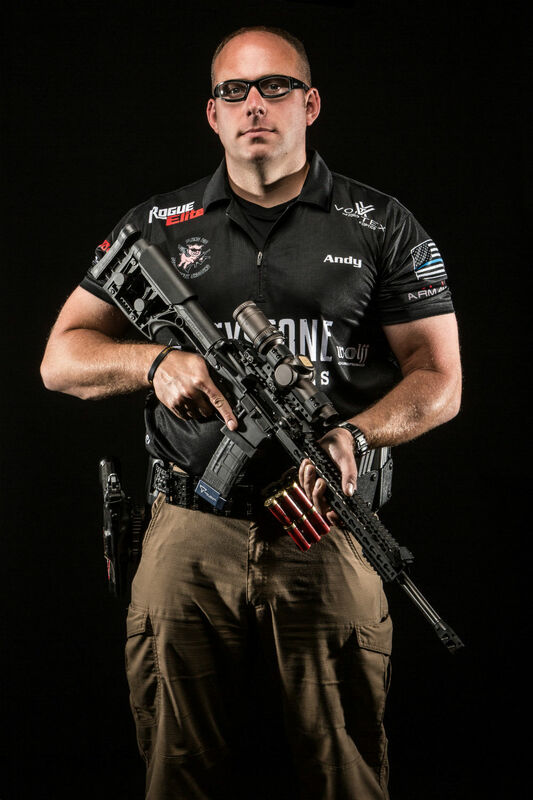 I began shooting competitively as a way to compliment my firearms training, using primarily my issued firearms and gear. As I progressed, I transitioned to more competition-specific firearms and gear. I attempt to get to the range at least once a week. I am fortunate to be able to shoot a good bit for my job. I also dry fire at home and at work as time allows. Between work, training, and shooting matches, I fire between 15,000 and 20,000 rounds a year. Currently I utilize various firearms, depending on the discipline that I am competing in. For handguns, I use primarily the SPS Pantera in 9mm, the STI Eagle in .40S&W, and the Glock 34 in 9mm. For shotguns, I use the Benelli M2 and Stoeger M3K, both in 12 gauge. For rifles, I shoot predominantly custom-built AR-type rifles, topped with Vortex Optics scopes. As an American, I believe that it is my right and duty to be a responsible gun owner. I use my firearms for competition, self defense, and duty use.